The popular Android-based IPTV service Terrarium TV finally went offline. Many of its users saw the blood in the water for some time, as the service slowly lost steam and updates became infrequent. With a warning from the developer to uninstall the app immediately, now is the right time to start exploring some Terrarium TV alternatives. Is Terrarium TV down for good? The simple answer is yes. The developer chose to stop updating the app and will be shutting down the app’s streams. There are a large number of Terrarium TV alternatives you can explore, however, that will still give you loads of live TV on your Android device or any other device you use to stream. There are many others floating around online as well. You can also expect many Terrarium TV clones to pop up. We do not recommend the use of Terrarium TV or any of these alternatives. Each of these “apks”, as they are often called, come with significant risks that we’ll explore later. Warning: Android apks and IPTV should only be used for content to which you have the legal right to access. Comparitech does not advocate the use of apks or IPTV for piracy. Below are some official alternatives you may want to consider. When you use apps like Terrarium TV or Terrarium TV alternatives, you broadcast not only what you’re watching, but where you’re watching it. Your ISP can record and sell your online data thanks to recent changes in the law. That means everything you do online is up for grabs to the highest bidder. You can protect your data streams from your ISP in any location, home or public wifi, by using a VPN. A VPN routes your connection through a heavily-encrypted data tunnel that prevents your ISP or anyone sharing your network from seeing your streaming activities. 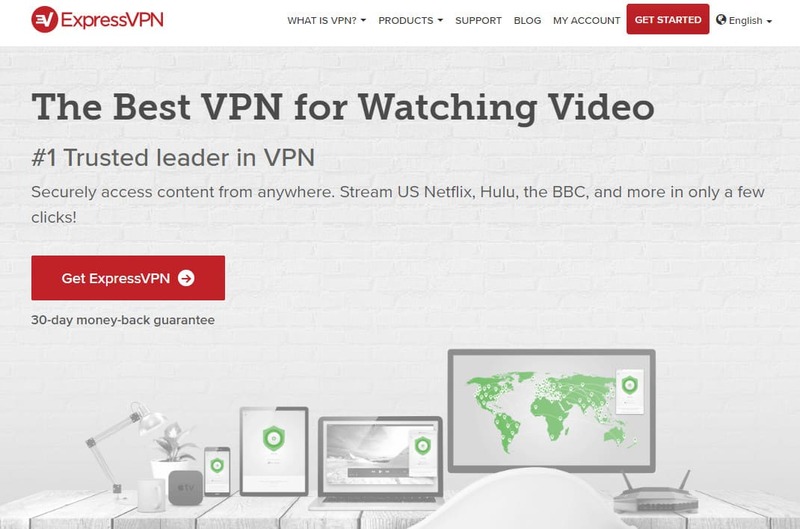 Of the options we’ve tested for IPTV streaming security and privacy, ExpressVPN is our #1 choice. Regardless of whether you use unofficial IPTV streaming apps like Terrarium TV or official ones like fuboTV, browsing online can carry privacy and security risks. Not only can your data be exposed to your ISP, but you also carry the risk of having your data stolen while streaming over public wifi, or due to a malicious app installed from outside of the Google Play store. Additionally, Man-in-the-Middle attacks allow hackers to skim all kinds of data from streaming app users, such as financial information, location data, and more. That information can be sold on the dark web and be used in identity theft. A solid VPN will encrypt your data, while also offering fringe benefits, such as the ability to bypass geographic content blocks that many IPTV services put in place. Of the options we’ve tested, ExpressVPN provides the greatest user experience, privacy protections, and security features. The service also has thousands of servers across the world, making it easy to find a fast connection and geo-hop to over 90 countries worldwide. TRY IT RISK-FREE: Get 3 months free here with ExpressVPN’s annual plan. The deal includes a 30-day no-quibbles money-back guarantee so you’ll receive a full refund if unsatisfied. 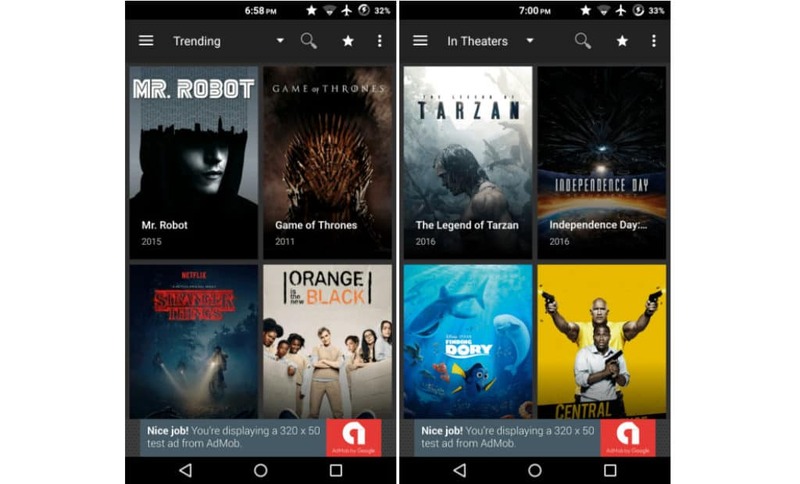 As stated earlier, those looking for apks like Terrarium TV can likely find them online, although exclusively from websites operating outside of the Google Play Store. Such options are not only unsafe but untrustworthy. Terrarium TV alternatives like ShowBox, TeaTV, Mobdro, and others are unavailable on the official Google Play Store because of these risks. Their developers are also just as untrustworthy when it comes to protecting user data, making a VPN particularly important. Additionally, websites offering unofficial apk downloads may or may not have altered the apps to install malware on your device. Such app hijacking can happen without user knowledge. In September 2018, software security company ESET released a report showing that several popular Kodi addons used to watch TV and movies were injected with coin-mining malware. Users were left unaware for months, and potentially tens of thousands of users were affected. While this issue only affected some Kodi users who utilized a few addons (GAIA and Bubbles), IPTV apks like Terrarium TV are not immune to these risks. Because of their illicit nature, the apps used to run Terrarium TV and similar apks can be easily compromised. The following, official Terrarium TV alternatives should provide users with more peace of mind as well as loads of great live and on-demand content. You can even use VPNs to help bypass content blocking with any of these services in order to access more content or access their streams while traveling abroad. A sports-centric streaming service, fuboTV offers US residents over 100 channels. Given its focus on sports, fuboTV primarily serves up must-have sports networks, like beIN Sports, FOX Sports, NBC Sports, Pac-12 Networks, NFL Network, NBA TV, Big Ten Network, and more. The service also has local TV affiliates for FOX, NBC, CBS, and others, as well as many entertainment channels, like FX, Lifetime, SYFY, TruTV, Cartoon Network, and AMC. The service offers free cloud DVR and multi-device streaming for up to two devices per account. You can get fuboTV for $45 per month for 80 channels, or $50 per month with fubo Extra, which includes the full lineup of channels offered. Currently one of the most popular IPTV services in the US, Sling TV provides two key channel packages and a large number of add-on channels as well. For $25 per month, you can sign up to either Sling Blue or Sling Orange. Each provides a slightly different selection of channels. Sling Orange has 28 channels with an emphasis on ESPN and Disney networks. Sling Blue provides 40+ channels with Fox Sports and NBC Sports taking center stage, alongside other entertainment channels like Bravo, History, AMC, and Comedy Central. Both Sling Orange and Sling Blue can be combined for $40 per month. Sling TV offers a 20-hour cloud DVR for an additional $5 per month and allows users to stream live TV on multiple devices at once. (Sling Blue and Sling Orange+Blue only). Google finally entered the IPTV market with its YouTube TV service. This service comes with a load of great features, including 3 simultaneous streams, 6 individual user profiles per account, and unlimited cloud DVR included in the cost (9-month expiration date). You can get YouTube TV’s 60+ cable and local TV networks for $40 per month. All of its other features are rolled into the service at no extra cost, as well. Popular networks like ESPN, The CW, FOX Sports, AMC, SYFY, TNT, Disney XD, BBC America and more are available, as well as add-on movie channels like Showtime and HBO. Coming in at a low cost and with an excellent selection of channels, Philo is an entertainment-only IPTV service that offers 40+ channels for $16 per month. There’s also a $20-per-month option that adds in a few additional channels. Through Philo, you’ll get access to Paramount Networks (which carries Bellator MMA simulcasts), History Channel, Discovery Channel, Science Channel, A&E, AMC, Comedy Central, HGTV, IFC, and more. Philo comes with a free unlimited 30-day cloud DVR, thousands of on-demand shows, a 72-hour rewind for all live TV broadcasts, and simultaneous streaming for multiple devices. You won’t find any sports networks on Philo, but that also helps the service provide its channels for such a low cost. Most people are familiar with Hulu’s on-demand service, but many don’t know Hulu now offers a live TV option as well. You can get both Hulu on-demand and Hulu’s IPTV service as a single package for $40 per month. That package includes over 60 channels, 50 hours of cloud DVR storage, 2 simultaneous streams, and the option to add on movie networks like Showtime and HBO. Hulu cuts out most of the unpopular networks, instead focusing primarily on the channels people want to watch. You’ll find NBC, ABC, CBS, FOX, ESPN, FOX Sports, History Channel, FX, HGTV, National Geographic, TBS, SYFY, USA, and Travel Channel, and many others. PlayStation Vue has a similar service to Hulu with Live TV, YouTube TV, and Sling TV. However, it’s one of the few official and paid IPTV services that you can connect to through a functioning Kodi addon. PS Vue offers multiple channel packages, ranging in price from $45 per month for 45+ channels to $80 per month for 90+ channels. That definitely puts PlayStation Vue on the higher end in terms of price, but the service also includes a cloud DVR, 6 simultaneous streams, and the option to make multiple user profiles per account. Quickly becoming the most popular IPTV service in the US, DirecTV Now and PlayStation Vue are the most similar services on this list. Both provide close to 100 channels through a high-tier, high-cost package, but both also have a lower-cost package for those who don’t want to pay the same price as they might for traditional cable TV. DirecTV Now offers 65+ popular sports and entertainment TV networks through its lowest cost, $35 per month channel package. FOX Sports, ESPN, Cartoon Network, Comedy Central, SYFY, USA, NBC Sports, TNT, TLC and more are available. DirecTV Now also has a 20-hour cloud DVR and allows users to stream on 2 devices at the same time. If hundreds of TV channels are what you’re after, Pluto TV is going to serve you well. A completely free IPTV service, Pluto TV offers sports, news, entertainment, music, kids TV, and more. You can watch anything from popular movies on the Pluto TV Movies channel to sports highlights, replays, and full game and matches on networks like Stadium and Fight. Pluto TV also has a fully-vetted Kodi addon available through the official Kodi addon repository. If Pluto TV isn’t to your liking, Xumo provides a very similar free service. There are over 100 free channels, many of which are currently available through Pluto TV as well, but others that are Xumo-specific. You may find that some channels on Xumo, like the sci-fi heavy channel Dust, provide unique content hard to find elsewhere online. A little-known free service, USTVNow provides live streams of popular network TV channels like FOX, NBC, CBS, ABC, My9 and a few others. USTV Now also includes a paid option that adds over a dozen more channels for $20 per month. USTVNow is available to live streams through a web browser, apps, or through a dedicated Kodi addon.